Concrete Colors shown approximate the color of broom-finished colored concrete flatwork made with a medium-gray cement. Concrete not so cured will have less brilliance. This cement colour takes the drabs out of plain grey and white cement and transforms dull concrete into fascinating coating. Fast to light and alkalies, the colours it delivers are widely used by tile and distemper manufacturers and situ workers. We bring forth for our valued clients a wide collection of cement colors. These colors are used in coloring the cement. High in quality and purity, these colors are widely demanded in the market. Our clients can easily avail them in multiple shades and at reasonable prices. There are three elements that are naturally magnetic: cobalt, nickel and iron. Among these three iron is magnetic, which explains why the iron oxide is widely used in the manufacture of magnets, electronic parts, audio and video, and ATM cards are used. We are offering Oxide Cement Colors to our clients. Designed to enhance coloured concrete and block paving and protect from water penetration, oil or grease spillages and dirt/grime build-up. Will enhance present colour and extend the lifespan of the treated surface. A ready-to-use, coloured solution for use on concrete, block paving, paving slabs, walling and roof tiles. Iron Oxide Block Tile Colours, 25 Kg. To cater the variegated demands of our valuable clients, we are highly engrossed in providing a qualitative grade Cement Colour Powder . 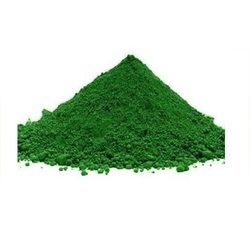 The offered powder is processed using the modern processing techniques. The provided powder is widely appreciated by our valuable clients for its optimum purity and highly effective features. 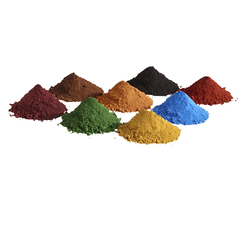 We are offering Concrete Pigment to our client. Non fading oxide colours for concrete tiles. Our company is a preferred choice of its customers for offering Cement Tiles Colour , which is hygienically prepared and packed.